Jean Bayliss, born in Olney, worked in Sowman’s office and later, Burgess’s, for many years. She started at Sowmans when she left school at 15 in 1958. She married Michael (Mick) Orchard in 1963 but stayed at work until 1964 when she left to have her son, Gary. At the time of her leaving, Sowmans had been bought (in 1962) by Burgess’s of Stafford. 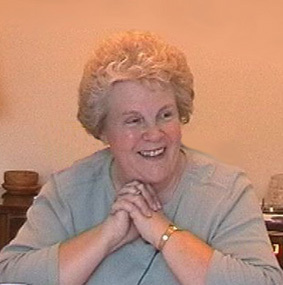 Jean rejoined the company in 1969 and stayed until Burgess’s moved away from Olney in 1984. Mick worked mainly in the electrical department between 1955 and 1965 before joining the ambulance service. 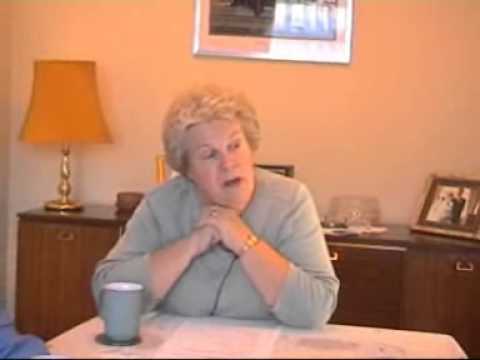 Jean, together with Mick, generously gave their time to be interviewed in November 2006, thus providing memories and anecdotes of the business in the 1950’s and 60’s. This article is based mainly on Jeans and Mick’s interview, and verified by several people also employed at Sowman’s in the 1950’s. This article primarily covers the period Jean spent in the office at (1958 – 64). At that time, in addition to the large ironmongery, radio and china shops on the Market Place there was an extensive engineering workshop and garage complex dealing with farm machinery and motor vehicles. Many apprentices were trained there, including John Edward Rudkin Sowman (later to become an Air Commodore). John was the oldest son of Alfred William Rudkin Sowman, co-founder of this once thriving establishment. A companion article (Part 1 of 2) entitled ‘J W & E Sowman Ltd, Ironmongers, Olney – The First 50 years, 1888 TO WW2′ has been compiled from material and photographs principally provided by Pam and David Sowman of Ilkley, Yorkshire. David is a grandson of Alfred William Rudkin Sowman. In 1904 Alfred joined his brothers, John William and Edwin, in the shop they had founded in Olney in 1888. The photographs also provide a glimpse of the Olney Sowmans’ family life. Click here for the companion article.